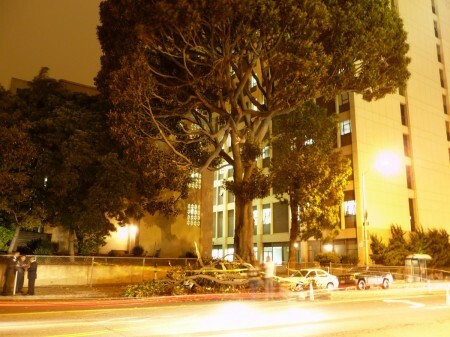 If a Branch From a 100+ Year Old Tree Planted by Hubert Bancroft Falls in the Mission . . . Does it land on a hipster? Burrito Justice has the answer. Perhaps a hipster, perhaps a historian. It would most likely land on a Chinese immigrant since Bancroft was big into defending white race riots and lynchings of the Chinese. It would probably land on a bicycle rider, ’cause everybody picks on them. BTW, all snark aside… awesome work, johnny0! whatever….i’ve had a 300+ year old tree branch land on me before. nbd.